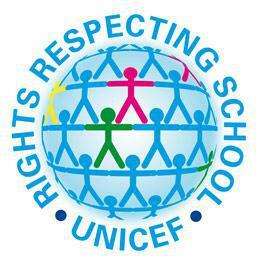 At Longfleet Primary School, we are a Rights Respecting School. This means we are empowering the children to understand their rights, as outlined by the UN Convention on the Rights of the Child. When the principles and values of the UN Convention on the Rights of the Child (CRC) are introduced and reinforced throughout school life, children and the wider school community benefit. Children are enabled to make informed decisions and to grow into confident, active and responsible citizens. At Longfleet, we have ‘Rights Respecting Officers’ which are comprised of one representative from each class from Years One to Six. The Officers have a responsibility to impart their knowledge of Rights to children in their class and also ensure children are displaying Rights Respecting Behaviours. Each class has a Class Charter, which the children had ownership in creating. The children identified Articles from the UNCRC which they thought were relevant to their class and then discussed the Rights Respecting Behaviours that children would need to adopt in order to protect their rights. The Officers have also worked together to create a Whole School Charter which they introduced in an assembly. This is displayed outside the hall and in every classroom. Please see latest news for information about our Day for Change!